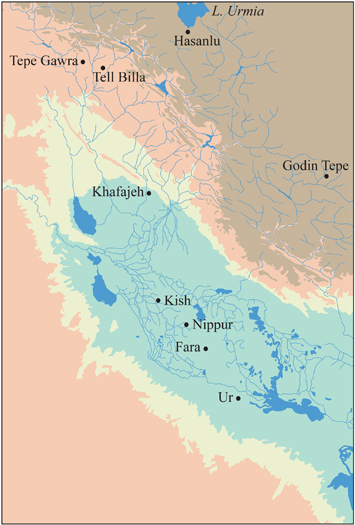 The Museum’s Mesopotamian Metals Project (MMP) was initiated in the 1980s to provide a reliable scientific framework for the social and economic interpretation of the metallurgical industry in the early urban complexes that emerged in southern Iraq around 3000 B.C. Dubbed “the cradle of civilization” and long regarded as the template against which growth mechanisms of other cultures should be measured, Mesopotamia has as yet received only minimal scientific scrutiny in the area of craft specialization. Metallurgy was chosen as the technological vehicle via which we might hope to assess the validity of current perceptions of what cultural dynamics underlay the development of ancient cities.